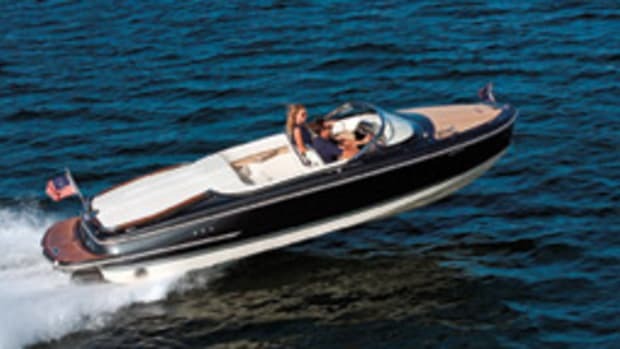 The decade after World War II saw a rebirth of recreational boating, and no builder was better prepared to ride the wave of popularity than Chris-Craft. Relying at first on tried-and-true versions of prewar models, the Algonac, Mich., company quickly re-established itself as the nation’s leading boatbuilder. 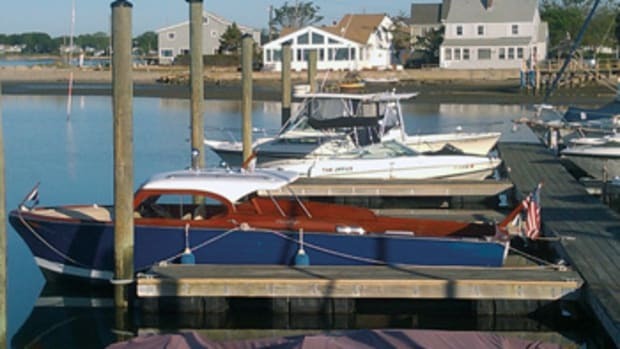 By the 1950s, Chris-Craft built 150 models at plants in New York, Michigan, Tennessee, Maryland and Missouri, and would soon expand into Florida and Europe. 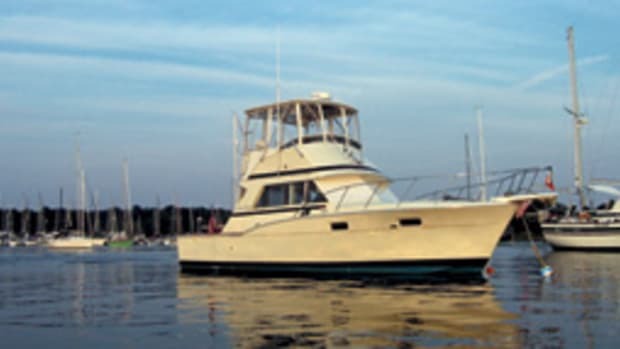 One of its most popular models was a 30-foot sedan (later extended to 31 feet) that also was offered in a version the company called an “express cruiser” with an open-ended wheelhouse, a layout better known at the time as semienclosed. The express was a hit, and Chris-Craft decided to exploit the design. The result was the 33-foot Futura, a thoroughly modern boat for the 1950s that helped pave the way for the express layout we know today. 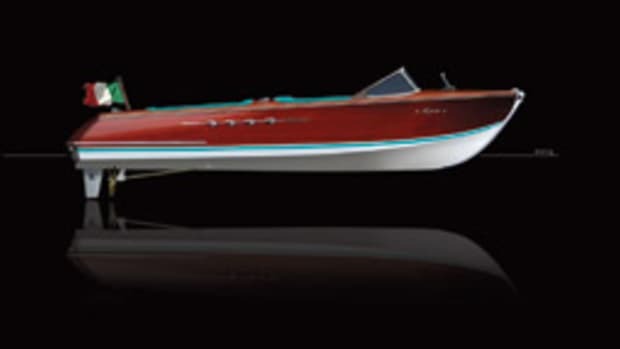 Designer Don Mortrude — an innovator who later created Chris-Craft’s Cobra runabout — gave the Futura a clipper-style bow, replacing the well-known “bull nose” of the 1940s. He added elongated portholes and streamlined cabin windows, and created a visor by extending the cabin top forward. 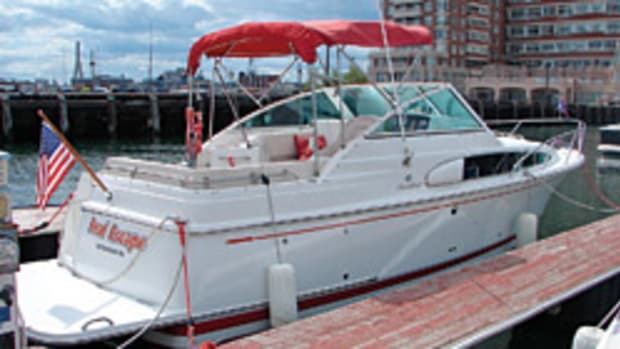 The express layout included a large cockpit with the helm station to port, and a dinette, galley, enclosed head and V-berth below. 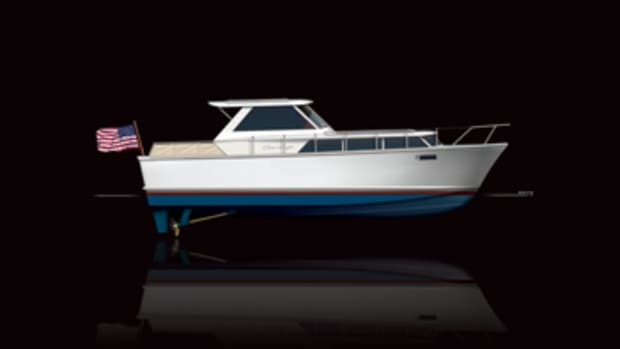 Powered by twin V-8s, the Futura’s hard-chine planing hull, with its broken sheer, was suitable for a sportfishing model. 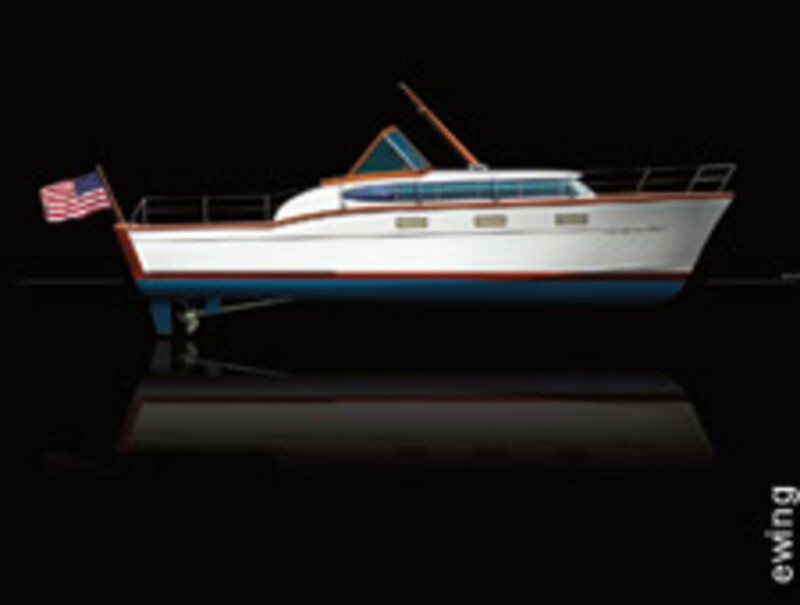 Chris-Craft built a prototype at its Holland, Mich., plant in 1955 and introduced the Futura to the public in 1956 to rave reviews. 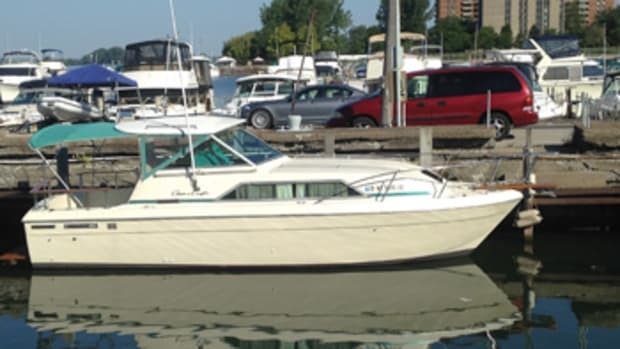 Over the years, the company offered eight models of express cruisers, from a 25-footer to a 36 — priced at $37,500 with twin V-8s in 1970.